Ray McKinnon is hoping that Falkirk fans will turn up in similar numbers as they did last time at East End Park against Dunfermline, when his side ran out 1-0 winners. 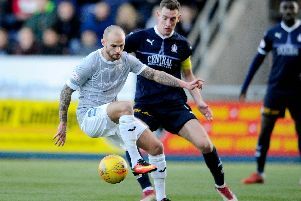 Zak Rudden's 71st minute strike was enough to send 1,000 Bairns fans home happy in November, and McKinnon is hopeful that a similar Bairns support will turn up this time round for an even bigger clash. "The fans have been brilliant. I'm hoping they turn up in big numbers on Saturday. It's a big derby and a tough game - a game we are looking forward to though." McKinnon added that November's trip through to Dunfermline was one of the highlights of his reign so far. 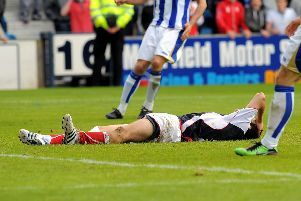 "It's always good when you beat your derby rivals," he said. "It was a good working performance in that game, I remember it, so more of the same this Saturday. "Hopefully we get the rub of the green that I don't think we got this week. It has been a tough week but that group will bounce back, I'm certain of it." Jordan McGhee is fit and ready to play after playing through a rib injury against Alloa Athletic last weekend and McKinnon added that there was no further team news, bar a few knocks picked up by reserve players in a 3-1 victory over Hearts on Monday. All should be in contention for this weekend.